Doc Rivers has confirmed that their big man Shaquille O'neal will play in game 3 of their 2011 NBA Eastern Conference Finals series against the very determined Miami Heat. Shaq has recovered from a hyper extended calf injury. The Heat has beaten then twice in the series. They need to win game 3 or else they will be in the brink of elimination. 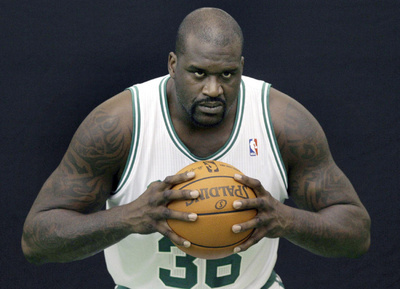 Shaq was retained by the Celtics because of his fine showing in the eliminations. They also traded Kendrick Perkins because they believe in Shaq. Shaq will provide the needed defense against James that Kristic can't give. If you want to get a preview on how Shaq will affect the flow of this series, here's a video on how he plays for the Celtics.